Are you earning as much as you should from your images? Print Fair will help you make money from selling your images on personalised greetings cards and posters� and at absolutely no cost to you. We work with companies and individuals just like you to unlock new, shared revenue streams from images and artwork featured on high quality, print-to-order greetings cards and posters. Together we'll promote the availability of your images and together we'll share in the rewards. Your images could be earning you extra revenue within days. We take your digital format and create for you a bespoke Web Shop, free of charge Your Web Shop is then yours to own and operate using the Print Fair service, providing you with a link to place on other people's sites or send to potential customers. The more traffic you can drive to your Web Shop, the more products you will sell. We believe in building trust and transparency into our partner relationships. Commission structures are agreed in advance and all orders placed are automatically received and processed by Print Fair on your behalf. We have also invested in a robust online management system with integrated tracking so you can track sales and orders in real time. 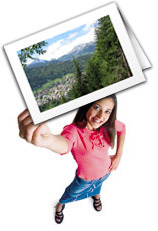 You retain control over how your images are used and presented. You choose how many picture you put up and how they are organised. You have input into the price at which your products are sold. You can brand and promote your Web Shop as your own. You can promote your core business on your Web Shop and on products sold. Copyright remains with you - we won't use your images for anything other than your Web Shop.